Asthma is defined as a chronic disease of the airways and lungs that lead to difficulty breathing when the airways narrow. Approximately 7,000,000 children are diagnosed with asthma in the US and this is the most popular chronic respiratory disease in children of school age. In accordance with the leading experts about asthma, the symptoms and signs of asthma, as well as the best treatment for you, can be quite different than other people with asthma. There are a lot of different environmental irritants that cause asthma. These factors have been known as triggers. Nevertheless, the triggers of asthma and its severity widely vary from individual to individual. Although asthma itself cannot be treated completely, you can manage certain factors in order to help you reduce the occurrence and severity of symptoms and asthma flare-ups. 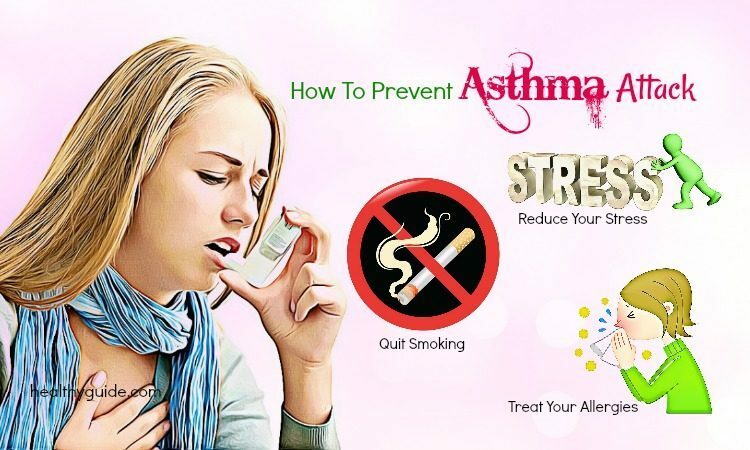 In each of the below sections, Healthyguide will introduce to you about top 16 wonderful ways on how to prevent asthma in adults, infants, and toddlers that certainly help you a lot. Be sure to read the whole article so that you have a greater awareness of asthma and how this disease is diagnosed and treated. Air pollution: Smog or bad changes in the weather may lead to irritating and greatly increasing asthma attacks. Cold air: It results in drying out airways and irritating the respiratory system. This will cause an onset of asthma. Exposure to an allergen: There are a few common allergens such as certain foods, pollen, grass, or trees, etc). Remember that an asthma attack associated with an allergic reaction may be extremely dangerous and not be taken lightly. Dust and mold: the environment in your home is able to be the cause of an asthma attack, especially if mold or dust is present. Irritants in the air: Any the present of smoke from wood to tobacco smoke can also trigger asthma attacks. Fragrances in the air such as scented aerosols, perfumes, and colognes may lead to this disease. Illness: If you suffer from a respiratory infection like the common cold, this can cause to dry out your airways and then irritate the respiratory system, thereby triggering the onset of asthma. Foods: Foods which have sulfites or other preservatives are also a cause of this disease. In fact, some people have asthma attacks after they consume foods containing sulfites or preservatives, such as beer, wine, shrimp, and dried fruit. Physical activity: In some people, an exercise can result in an asthma attack. Stress or strong emotions: When you are under stress or dealing with anxiety or depression, you can be more susceptible to asthma attacks. 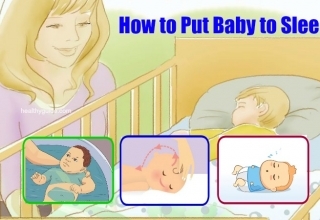 Another amazing way on how to prevent asthma in toddlers, infants, and adults is to monitor your breathing regularly. You should learn to know basis warning signs and symptoms of an impending attack including coughing, shortness of breath, wheezing, or chest tightness. Therefore, it is the best that you measure and then record your peak airflow by using a peak flow meter regularly because you are not able to immediately register your lung function that is decreasing. The small device, a home peak flow meter helps you measure the maximum speed of the expiration to monitor your ability to breathe out air. If the measurements between 50% and 79%, this can be indicative of an asthma flare-up. Regularly measuring and recording your peak flow has the ability to help you identify what is normal and what is abnormal for your condition. 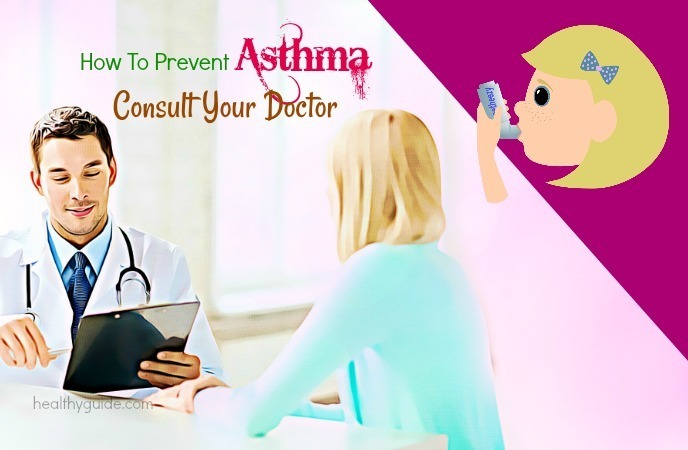 When it comes to the excellent ways on how to prevent asthma, using the asthma diary to learn what it is happening is the best choice for you. When you are having trouble with figuring out what leads to flaring up your asthma, you need to keep track of the symptoms and signs for a few weeks in the asthma diary which details all the environmental, emotional and physical factors you encountered. Take your asthma diary any time you have asthma attract and write down your symptoms, how to feel, and what you did and were exposed to before the flare-up. Look for a pattern: Whether your asthma is caused by bodily factors such as the flu or a cough, you should track your asthma as well as other illnesses over the period of a year and then see if you are capable of finding a correlation. Be consistent: Your diary will be most helpful if you record the things happening in it as often as possible. Besides, if you tend to forget this, set a note on your computer or phone to remind you about updating it if eventful something has just happened. You give a doctor your diary to check up your problem. This is able to help the doctor craft a right treatment regimen for you. If the causes of asthma still are not clear, an allergist, pulmonologist, or general practitioner has the ability to perform several tests to help you find out what sets off asthma attracts. Consulting your doctor is known as one of the effective ways on how to prevent asthma in toddlers, infants, and adults. Allergy testing can’t be a tool that is used for diagnosis of asthma, but the testing is a wonderful technique for determining triggers correctly. A few allergic symptoms can be linked to asthma. The combination of atopy with asthma is well documented. Because atopy is defined as containing IgE antibodies to the particular antigens, you will have a genetic predisposition close to certain diseases such as asthma, eczema, and rhinitis. 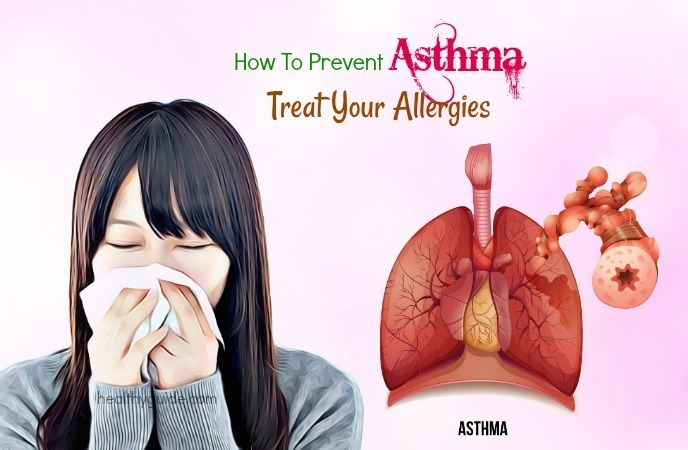 If you are finding the simple and easy ways on how to prevent asthma, staying away from mold and dust is a perfect answer for you. These factors are common asthma triggers, and maintaining a clean environment is beneficial in reducing asthma flare-ups. You should make the dusting and vacuuming part of your cleaning routine every week to avoid resulting in an asthma attack. In addition, to avoid dust mites, you need to use pillow and mattress covers, clean bedding often and avoid using quilts which have down feathers. Since humidity causes mold, you should use a hygrometer to see how humid the home environment is. Moreover, using a dehumidifier to maintain the mold-free and moisture environment is also the work you should do. Regularly disinfect showers and places where moisture may lead to the growth of mold. If you suspect a significant mold problem presents in your house or work place, make sure to get it professionally checked and removed. Getting a HEPA or any other kind of air filter for the home is an impressive way on how to prevent asthma in infants, toddlers, and adults. Simply, you can also use air conditioning or fans to keep air circulation good. According to studies highlighted that cities with the high level of air pollution have the higher asthma rates, particularly among children. Several factors such as smog, car exhaust, and many other air pollutants may all responsible for asthma. Hence, monitoring the air quality index around your local is one of the best ways on how to prevent asthma. You should also avoid doing exercises and spending too much time outdoor on bad days. You learn to know when air quality is good, like mornings in the summer. In those times, you can schedule outdoor activities that are beneficial for your health. You can use your air conditioner to filter the air, instead of opening your windows. Avoid living close to a busy intersection or the highway where fills mold and dust. If you can, you move to a home which has fresh and dry air. Another wonderful way on how to prevent asthma in infants, toddlers, and adults is to stay away from fragrances and other scents. Some people with asthma can be highly sensitive to perfumes. Therefore, if you are so, the best way is not to wear much perfume. At the same time, you try to avoid being near people wearing a lot of perfume. On the contrary, if you must wear perfume, lightly use it and avoid inhaling it. Do not use scented candles or air fresheners because scented products may lead to irritating your nasal passages as well as breathing airways. You should even choose scent-free laundry detergents to use. One of the great ways on how to prevent asthma in infants, toddlers, and adults is to avoid inhaling smoke whether from incense, fireworks, tobacco, or anything else. You should not smoke and at the same time, you need to put an effort to keep away from other smokers or anything which elicits smoke and may cause asthma attracts to flare up. Many studies suggested that there is a clear link between secondhand asthma and smoke, particularly in young people. In fact, in children and teens, there are over 25,000 new diagnoses of asthma due to secondhand smoke. Another amazing way on how to prevent asthma in infants, toddlers, and adults is to treat your allergies. If you have allergies which hit your sinuses or lungs, you should get them treated. This can help you get your asthma under control. You also talk to your allergist or doctor about medications and strategies in order to cure your allergies. Some allergy symptoms can be treated by decongestants and antihistamines that are available for sale without a prescription. Tablet medications and prescription nasal sprays are able to treat a number of seasonal allergies. You can have immune therapy shots that are beneficial in reducing the allergies over a long time by aiding your immune system in building a tolerance to allergens. On the other hand, if you are uncertain about you have allergies or not, see your doctor and take a possible allergy test. The test will help to determine whether you have reactions to the most popular allergic triggers that may also be unknown causes of asthma. As you know, if the body is focused on struggling for an illness, it will have fewer resources to deal with other types of diseases. Furthermore, the combination of an asthma attack with a cold or flu may be very dangerous. Therefore, one of the best ways on how to prevent asthma in infants, toddlers, and adults is to heal your diseases such as cold and flu. If your asthma is activated by other viruses, the minor sniffles may turn into weeks of coughing and wheezing. You need to take extra precautions in order to avoid getting sick. You also get seasonal pneumonia and influenza vaccination. The flu makes sicker tired and especially people with asthma should be sure to have a flu shot yearly. You can also consult your care physician to get more information. Typically, flu vaccines are offered from September until November each year. You should avoid being close to people who may be likely contagious. Remember that you do not share any drink or food with people who are experiencing the flu or cold. This is at the higher risk of getting sick. Rinse your hands often, especially during flu and cold season. Getting rid of germs and keeping good hygiene can help you stay away from getting sick. One of the top 16 ways on how to prevent asthma in toddlers, adults, and infants is to have a proper plan to treat the disease. Hence, if diagnosed with asthma, you need to set up an asthma action plan along with your physician or allergist. Basically, this plan is a detailed process of what you do when you face with an asthma attack. The plan is written down and includes emergency phone numbers of family and friends who are able to help you at the hospital in case urgent matters. Having this action plan and putting asthma under control of your treatment will make you feel better to cure the illness. Another magic way on how to prevent asthma attack is to manage it well. If you suffer from asthma, there are an abundance of prescription drugs which have the ability to manage your asthma effectively so that a number of attacks become fewer. There are many types of inhalers for both quick-relief and daily use. However, talk to your doctor first about finding a proper medication that is good for you. There are 2 different types of rescue medications which can include in your treatment. They are a Dry Powder Inhaler or a Metered Dose Inhaler. MDIs are most common inhalers. These deliver asthma medication by pushing the medication into your lungs through an aerosol canister containing a chemical propellant. A DPI inhaler is defined as the delivery of powder asthma rescue medication. When you use A DPI, you need to breathe in deeply and quickly, which makes it difficult to use when an asthma attack happens. This makes DPIs less popular than MDIs. Your doctor can also prescribe you an instant relief inhaler, like albuterol that is used effectively during emergencies and flare-ups. Make sure that you should watch yourself carefully if you want to increase use of the type of medication. Because you use it more and more frequent, your asthma won’t be under control. It is better that you should seek medical advice from a doctor. Note that you take the medication as prescribed. Because your asthma may be likely to be improving and this does not mean that you can stop the medication, consult your physician before you have any changes. Making an effort to relax and rest is one of the simple and easy ways on how to prevent asthma attack because anxiety, stress, and emotional upsets may lead to asthma and make it become worse. 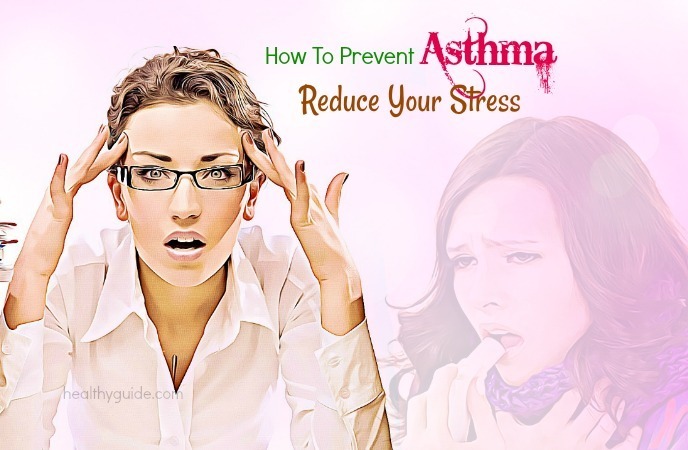 A few techniques such as yoga, deep breathing, meditation, and progressive muscle relaxation have the ability to alleviate your tension and stress, thereby reducing the risk of kicking off asthma. You should focus on deepening the breath in order to deal with stress. Deep breathing is useful in encouraging full oxygen exchange, thus leading to helping to slow your heartbeat and stabilize or lower blood pressure. To learn the way on how to prevent asthma in infants, toddlers, and adults by reducing stress level, you firstly find a comfortable and quiet place to sit and lie down. Then you start taking one normal breath or two in order to settle yourself. Now, you try a deep breath by breathing in slowly through the nose and allowing your chest as well as the lower belly to expand when you fill your lungs. Next, let the abdomen expand fully and slowly breathe out through your mouth or nose if this makes you feel more natural. The process should be done for a few minutes. As you may know, smoking cigarettes and many other similar products, even a bit, may contribute to asthma and an abundance of other severe health issues. Quitting smoking can’t be easy, but this is an amazing way on how to prevent asthma in adults, infants, and toddlers has a great effect on your health. Managing your weight at an appropriate level is also one of the excellent ways on how to prevent asthma in adults, infants, and toddlers because obesity can lead to this disease. 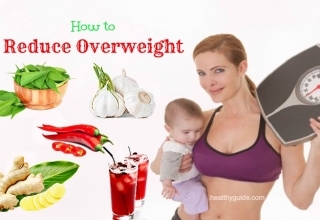 If you are overweight, you should have a proper diet and exercise plan which will give you a healthy range. Make sure to reduce calorie intake and at the same time, increase the amount of time you exercise. This is the secret in order to lose weight naturally. In addition, you watch portion sizes and put an effort to eat slowly. You savor and chew the food and stop eating if you are full. The last of top 16 ways on how to prevent asthma in adults, infants, and toddlers is to exercise regularly. Many studies have revealed that exercise has a significantly positive effect on your asthma and should be followed as tolerated. Exercise has the ability to reduce the severity of asthma signs and symptoms, even though you need to be careful to consider asthma when you plan an exercise regimen. Furthermore, if you have exercise to treat asthma, be cautious about exercising in cold, overly humid or dry environments. Several activities that are good for people who have exercise-induced asthma include cycling, swimming, walking, and hiking. Yoga is also a good choice for asthmatics as it not only increases fitness but also helps you learn to manage and know more about your breath. Besides, if you like to play team sports, you can consider those having short bursts of activity such as baseball and football. You do not play sports having longer spurts of activity including soccer, basketball or long-distance running. If you feel worried about your workout that is going to lead to an attack, use your inhaler. In fact, it is a good idea to keep your inhaler by your side wherever you go, including the gym or outdoors. Above are top 16 effective ways on how to prevent asthma in adults, infants, and toddlers that we share with you. We hope you can find useful information and proper ways to deal with your problem. If you have any question or unclear content, feel free to leave your comments below. We will answer as soon as possible. Apart from asthma, people often suffer from a popular problem named acid reflux. 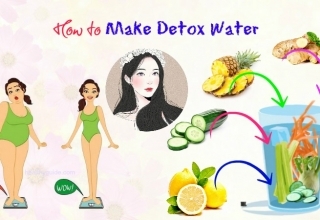 Hence, if having free time, you may discover top 41 effective Home Remedies For Acid Reflux which is published in our main How to page. It is very helpful for those who are in this condition. Thus, let share it with others you know to help them get rid of it faster.